It was now, that a major change took place in Britain Severus had planned a division of the country into two halves, upper and lower. The reasoning behind this was to reduce the number of legions available to any one governor, thereby cutting down the risk of a governor making a claim to the throne and having a large number of troops at his disposal. The initial plan was conceived in 197, but it was not until after 211 under Caracalla the scheme was put into practice. Roman tradition was to name divided provinces in line with their actual distance from Rome. The closest or upper (in rank) province was the superior and the further away, lower province was the inferior. Britain was now divided into the south (Britannia Superior) and the north (Britannia Inferior). The superior had a consular governor, while the inferior was ruled by someone of the praetorian rank. 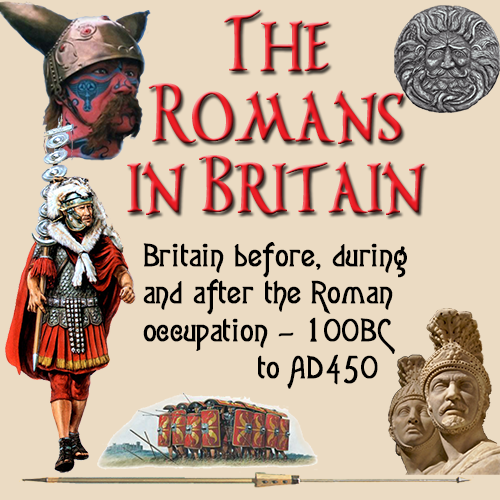 The governor had the main bulk of the legions in his division and was based in London. While the northern ruler had just one legion, but many auxiliary troops and was based in York. Troops that were surplus to requirements were dispatched to the Europe. These may have been posted because of reduced requirements or, more likely, because they were the troops brought over from the continent for the campaign against the Scots. In any case, the pattern for the future of Britain for some years to come had been formed. The Roman Empire in the third century was vastly different in shape and attitude to the Empire of a century before. Whereas the Empire had expanded and conquered territories, especially in the first half of the second century, it was now in a stable non-growing state. It was triumphant and dominant. On the surface this should have been the best times for the Roman Empire, but in the third century, it was to be ravaged not only by outside sources, but also from within.